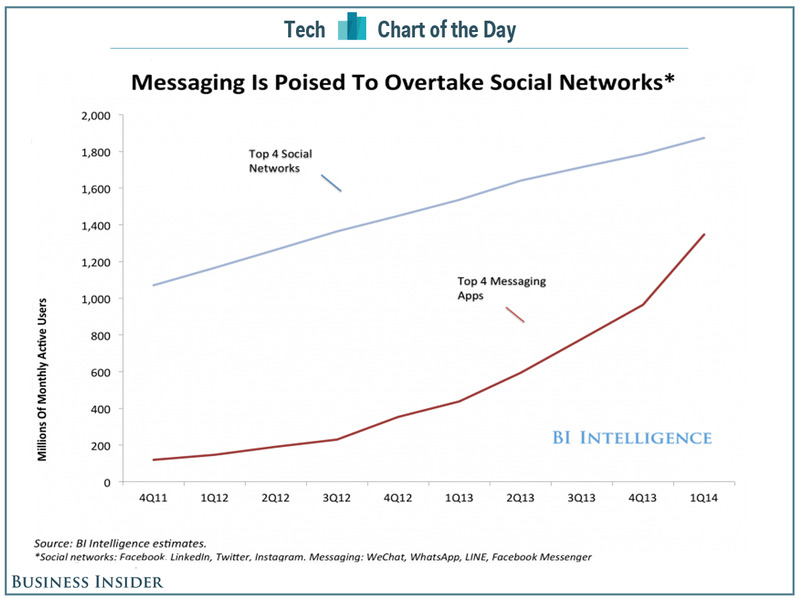 Facebook announced this week that its standalone messaging app, Facebook Messenger, has already surpassed 500 million monthly active users. 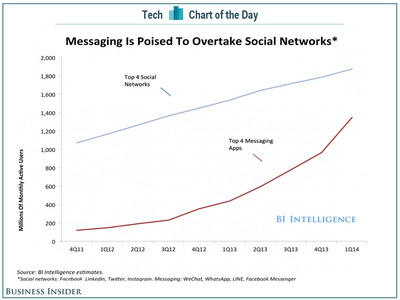 It’s just one part of a growing trend among users, who are spending more time in messaging apps than ever before. Based on Flurry data charted for us by BI Intelligence, the top four messaging apps are experiencing incredible growth compared to the top four social networks, and will likely overtake those social networks within the next few years. Those messaging apps — WhatsApp, Snapchat, LINE, and WeChat — are all growing their user numbers at a quarterly rate of 15% or higher in 2014. But that’s because messaging apps are much more than just texts: You can play games, share news and videos, call, and even send money to each other.